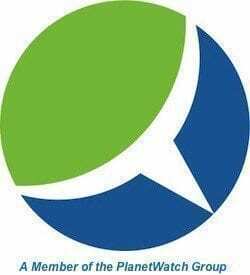 ICT and broadband technology can, and already are contributing to climate change mitigation and adaptation by reducing CO2 and GHG emissions, increasing energy and resource efficiency– thereby conserving increasingly precious natural resources, and reducing human waste. 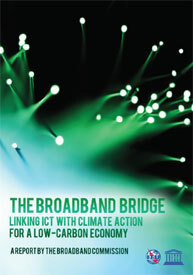 “Broadband can deliver vastly enhanced energy efficiency, mitigation, adaptation, real-time monitoring and emergency response, as well as broader benefits such as Gross Domestic Product (GDP) growth and job creation, social inclusion and improved governance and wider access to education and health,” the report authors’ write. In addition to ten recommendations for policy makers, the report “showcases best government practices in mobilizing ICT to reduce GHGs and build inclusive societies,” according to Hans Vesterberg, Ericsson president and CEO, who chaired the Broadband Commission’s Working Group on Climate Change, which produced the report. A follow-up report, Smart 2020, produced by the Boston Consulting Group, Climate Group and GeSI estimated reductions from ICT-enabled energy efficiency at between 13-22%, while a 2008 American Council for an Energy Efficient Economy showed that overall US energy savings increased by a factor of 10 for every kilowatt-hour (kWh) of electricity consumed by ICT, the authors note. The report illustrates how ICT is already being used to mitigate and adapt to climate change. One example of climate change adaptation included in the report is China Mobile’s Rural Communication and Information Networks program, which as of year-end 2010 had connected some 89,000 remote villages to its mobile telecoms network. More than 19 million rural customers were sending out an average 19.5 million SMS a day on the network’s Agricultural Information Service. Among the ICT applications related to climate change mitigation and adaptation are automated, machine-to-machine (M2M) monitoring and control systems, automatic drip irrigation, wireless water quality monitoring of fresh water aquaculture and water conservancy. For all the promise ICT and broadband technology hold out in terms of mitigating and adapting to climate change, there are significant challenges and obstacles to realizing its full potential, the report authors write, particularly when it comes to government policy and regulatory environments. Current regulatory environments are organized and promote an isolated “silo” approach to gathering data and information and solving problems, according to the report, with separate communications networks built in parallel. “High licensing fees, spectrum charges and high tariffs also inhibit market development and discourage investment and expansion,” the authors state. The report is produced by a global industry association and it does promote its self-interest. Climate change is real and human activity is accelerating it significantly. Likewise are the benefits ICT can provide in terms of meeting the challenges posed by climate change, however. The report is well worth reading.